A scientist creates a toxic cocktail that is accidentally unleashed into the local population and a nearby police "body farm" and only one creature of legend, can stop the growing hordes of the undead and save humanity. 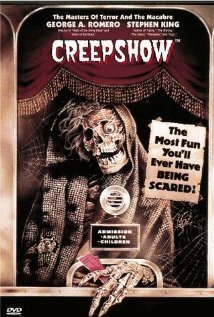 In the first "Creepshow" film, which story came first? "The Lonesome Death of Jordy Verrill"
"Something to Tide Du Over"